Founder and CEO of Funderbeam, the marketplace where growth companies are funded and traded across borders. Funderbeam combines three stages of investor journey into one: startup analytics, investing, and trading on the secondary market. Powered by blockchain technology, the marketplace delivers capital to growth companies and on-demand liquidity to investors worldwide. Member of Startup Europe Advisory Board at European Commission. 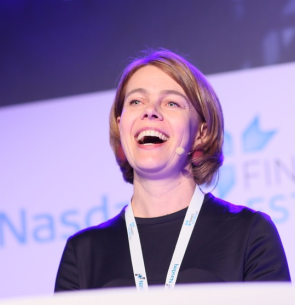 Kaidi is a former CEO of Nasdaq Tallinn Stock Exchange and of the Central Securities Depository. Co-Founder of Estonian Service Industry Association. A lawyer by training, she co-authored the Estonian Digital Signatures Act of 2000 — landmark legislation that enables secure digital identities and, in turn, the country’s booming electronic economy.